Siberian Huskies are intelligent dogs, but can also be stubborn, and grow bored easily. Training a Husky puppy is not easy. You will need a lot of patience and dedication to properly train a Sibe. Are you up for the challenge? Here are some of our general tips on what to expect and where to start. If you are new to the breed then you need to assess yourself first. Sure, Huskies look all cute and pretty, but are you prepared to train and exercise your dog every single day? If you haven’t owned a dog before then you might want to consider adopting an older, trained and socialized Husky, or consider a different breed. Siberian Huskies are difficult to train. Rewarding in the long run, but difficult. 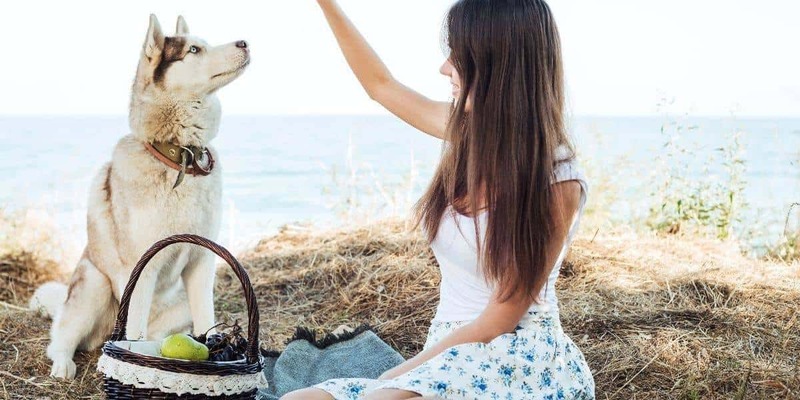 Before acquiring your first Husky you might also want to get in touch with your local Siberian Husky club where you can meet owners, play with the animals, and get a feeling for whether this is the breed is right for you in your current lifestyle. As any Husky training guide will suggest, you need to be the leader of the pack. Be the “alpha dog”, so to speak. That does not mean you will be aggressive, loud, or violent. It does mean you need to exert dominance over your dog. Huskies will not obey if they view their owner as passive or weak. Being the leader means firm commands, with consistent wording, and applied consistently. No bending the rules, ever! If one rule can be bent then your dog will think all rules can be bent! For example when passing through a gate or doorway, you lead and the puppy follows. When play time is up, you remove the toys from the puppy’s possession. You decide when and where the puppy sleeps. Crate training is also likely to be an appropriate activity. In short: you lead, and your Husky should follow. As soon as you bring the puppy home you want to settle in to a routine. Each day you and your puppy will need to sleep, eat, poop, play, and exercise. The great thing about settling in to a routine is that it help builds trust with your puppy, plus helps you remember to get through all the activities that need to happen each day. Training is not something that necessarily stops at a certain age. As your puppy grows up certain behaviors and routines will become second nature, only to be replaced with more advanced training and exercise. Thankfully some training such as housebreaking your Husky puppy will settle down and not require constant attention. When your puppy does good, positive feedback should be given immediately. By that we mean within 5 seconds – straight away! Positive feedback can be any or all of kind words, affection, a treat or a toy. Similarly, when puppy does bad, negative feedback should be given immediately. Not with a wooden spoon of course! But with a firm “No”, withdrawing attention and affection, and removal of toys. Puppies will make mistakes and you can not expect him or her to change behavior after any one positive of negative feedback event. It will take many for the puppy to learn, and from time to time they might disobey and test you out. Consistency is the key here: giving feedback soon after the event, and consistent feedback behavior after certain puppy behaviors will help your Siberian Husky pick things up quicker, not to mention respect you for being the alpha dog. Also check out some more specific tips on feedback for your Husky, or these tips on WikiHow with pictures. Training is going to take time. Not just a few days here or there, but consistent training, every day, for many months. Don’t give up! If something isn’t working over a period, try something else. Ask other Siberian Husky owners at your local club what has worked for them. 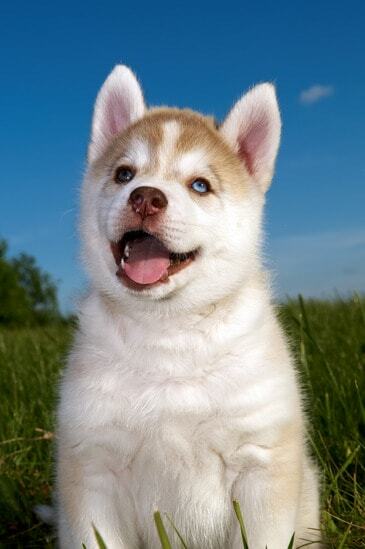 Check out our other tips on training Husky puppies for advice on specific issues. 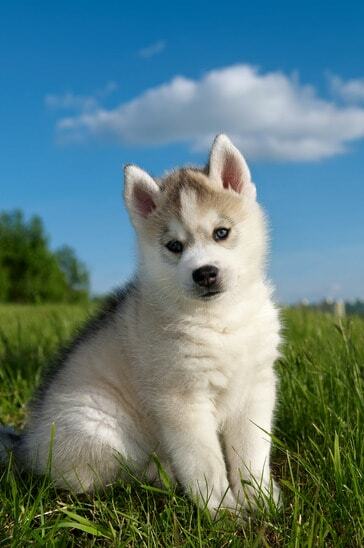 Training a Siberian Husky puppy requires effort, dedication, and persistence, but please don’t let that put you off! Training can be fun, enlightening, and rewarding for puppy and trainer alike. Improved relationships between your pet and yourself, your family, the general public and other animals is the secret to successful pet ownership!